Nootropics Genius Burn is a caffeine free, thermogenic fat burner that is made by The Genius Brand. There are 60 capsules that come in one bottle for around $49.99 before shipping. It is supposed to help you burn fat, lose weight, and give you improved results just by taking 1-2 capsules 1-3 times per day. So what exactly does nootropics mean? If you are not familiar with this terminology, it is a drug that is used to help with improving memory and cognitive function. The company that created Genius Burn is based out of Seattle, Washington, but they do not provide an address or any customer support outside of their e-mail form on the website. They push this product saying it works without having to incorporate any harmful stimulants, so I wanted to dig deeper on the effectiveness of this product as a whole for weight loss. Is this the best nootropics product out there, and does it live it up to the large claims that are being made? These are some of the main claims involving their ingredients, but there are no outside studies done to prove why these ingredients really do work. They warn if you are pregnant or breastfeeding not to take this product, and if you have certain medical conditions to run it by your doctor before taking it. These are simple precautions, but they are to be followed. It is also not advised to take this diet pill if you are under 18 years of age, especially without an adult's consent. They make an abundance of claims surrounding the ingredients in the product and what they are proven to do for weight loss, energy, brain function, and your metabolism. What the company fails to show is any proof backing up these claims on their site, which was unsettling. I wanted to do a little digging on my own to look into these ingredients to see if they are all they are cracked up to be. Anytime you are using supplementation to see weight loss, you want to make sure what you are putting into your body is indeed honest. Right off the bat they come out and say that anything caffeinated is not needed for enhanced brain function, but that cognizin, alphasize, & theacrine will do the job for bettering your memory and brain function overall. When looking into a study done on cognizin and how it affects patients with traumatic brain injuries or illnesses like stroke, vascular dementia, and Parkinson’s disease, it was interesting to see the results. At the end of the study they admitted there are still many things that are unresolved, and many holes over the course of different studies. There wasn’t much information on alphasize, but there was a study involving theacrine (otherwise known as TeaCrine) and its effects on cognitive performance and how it compares to actual caffeine. They studied 20 different healthy men between the ages of 18 and 31, and all of these men were regular consumers of caffeine. Each day they were given either theacrine, caffeine, or a placebo. Both the caffeine and the theacrine contained around 150 mg. Each participant had to come in three days in a row, at the same time in the morning with strict rules regarding resting, diet, and stimulation. Another interesting ingredient found in the supplement is called astragin. So what exactly is it? It is a natural composite that allows the body to better absorb vitamins, minerals, and amino acids upon consumption. According to Noxnutrition, “AstraGin has been proven to help arginine absorption by 62% and glucosamine absorption by 42%. It improves certain vitamins absorption by 48%.”  While they do not mention anything about this ingredient, I wanted to touch on it in case you were unaware of its functions. When looking into these nootropic supplement reviews, it was rather insightful to see how people were reacting to this product overall. There were a majority of happy customers versus unhappy, which was nice to see. However, with those who were unhappy there was a lot of feedback about the product making them sick, giving them headaches, or doing nothing at all. Take a look below at the mixture of reviews on the supplement Genius Burn. The Bottom Line: Is Genius Burn Worth A Try? Insufficient Data. There is something about a caffeine free, thermogenic fat burning pill that just doesn’t add up, as it almost seems too good to be true. There were some customers who were happy with the results, however, but the company could not provide one study as to why their product really does work. For those who were unhappy, it was apparent that the product really didn’t work for them at all! Headaches, foul taste from the supplement, and sickness were some of the main complaints. For some it apparently worked, but it is hard to know if they were paid or not for a nice review. There really isn’t enough data to say stay away from the product, but there is not enough evidence to make me believe that this product will truly help with fat loss and metabolic stimulation either. Are your weight loss struggles coming from a psychological place? Bright Line Eating is backed by sound science and rational explanations. No food group is eliminated in its entirety, so it can be considered a healthy, wholesome eating plan. Apart from the weight loss benefits, it promises freedom from many metabolic diseases and medication and also an energy boost from the high leptin levels. Although avoiding all processed food presents many practical problems in day-to-day life, the extra effort required may reap rich dividends. Those who have successfully followed the program vouch for its efficacy, so it is definitely worth a try, especially at the price the 2-week challenge is offered. According to Susan, obesity is not just a physical problem arising from consuming too many calories, but a complex one involving psychological and hormonal issues. The main cost of the Bright Line Eating is for the 8-weeks Boot Camp, which doesn’t come cheap considering the fact that it’s an online program. The price of each camp may vary, but it is a relief that it has now come down to under $500, from the original cost of nearly $1,000. It supposedly covers the expenses of maintaining a support team for the benefit of dieters. Since the diet does not involve any weight loss products or dietary supplements, there’s no recurrent costs involved, although a small monthly fee may be payable for continued access to Facebook support groups. The recently published work by Dr. Susan Bright Line Eating: The Science of Living Happy, Thin, and Free may be an additional cost, but it’s optional. The option of joining the 2-weeks challenge to get a taste of the program is an advantage for those who are wary of making a big investment. At the price of $29, it is affordable for almost anyone interested in this program. 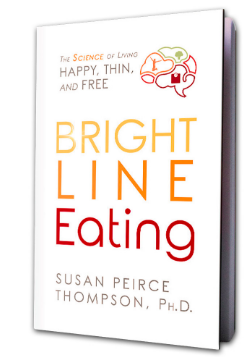 Dr. Susan insists that Bright Line Eating is not merely a diet or an eating plan for weight loss, but a completely new way of healthy living. She slams the conventional wisdom–eating in moderation and exercising–to lose weight. On the other hand, Bright Line Eating makes use of the hormone leptin and the ­­technique of brain rewiring to achieve control over our eating and weight gain. Leptin is called ‘satiety hormone’ because it is produced by the fat tissue when the body feels that it has sufficient energy store. It prompts us to stop eating and become more active. In other words, the hormone leptin is actually body’s own natural defense against excessive fat storage and weight gain. Since this hormone is produced by the adipose tissue (fat cells) leptin levels in the body would naturally be higher in those having more fat tissue. However, that doesn’t seem to help them avoid gaining weight. As a matter of fact, people who are overweight or obese do produce more leptin, but it often gets blocked by the hormone insulin, so it cannot prevent weight gain. Therefore, the key to increasing leptin levels is to reduce insulin production in the body. The Bright Line Eating program involves moderate calorie-restriction for weight reduction, but more importantly, it almost completely eliminates all foods that trigger excessive insulin production. As everyone probably knows, insulin is produced in response to carbohydrate intake, especially sugar and refined carbs. That means one should cut sugar and refined flours from the diet to reduce insulin levels and reap the benefits of leptin; and they form two of the ‘bright lines’ of the Bright Line Eating. Foods that elevate blood sugar levels are also addictive because they excite the pleasure centers of the brain like cocaine does. In fact, sugar has been found to be even more addictive than cocaine or heroin. So, that is one more good reason to stay clear of sugars. This eventually leads to rewiring of the brain to overcome sugar addiction and cravings. The Bright Line Eating program starts with a Boot Camp that is 8 weeks in duration. It is designed to help people overcome eating disorders and food addictions, and put them on a path of liberation from the vicious cycle of weight gain and dieting. It has much in common with de-addiction programs like Alcohol Anonymous and FA, and, like them, peer group support is continued through private social media groups. As with AA, the main prerequisite for joining the Boot Camp is that the dieter should wholeheartedly want to undertake the program. He/she should not be forced or coerced into it by parents, spouses, friends or even healthcare workers. The Bright Line Eating Boot Camp is a completely online program that anyone anywhere in the world can join if one has access to a computer and a reliable Internet connection. It is conducted in batches with limited admission. ￼It comes with the Bright Line Eating Weight Loss Food Plan and daily videos from Dr. Susan for 2 weeks. You will also get access to the mobile platform Bright Line Eating Daily Companion that would support your efforts as you develop the right habits to drive your weight loss journey. While this 2-weeks challenge costs $29, you could also order her new book, Bright Line Eating: The Science of Living Happy, Thin, and Free for under $20. As mentioned before, Dr. Susan’s view on exercise for weight loss goes against conventions. She argues, with the support of scientific evidence, that exercise has no significant role in weight reduction, and that it can actually derail your weight loss efforts. It is quite understandable that vigorous exercise can cause physical harm when a person is carrying quite a lot of extra pounds; it can put the joints under tremendous stress, and can even lead to permanent damage. But even moderate or light exercise is discouraged in this program. It is on the premise that it causes unnecessary physical and mental stress at a time when the dieter is already under a lot of strain to adjust to the food restrictions and other lifestyle changes required by the program. However, later in the program, after the insulin levels have come under control, and leptin levels increase sufficiently, the body may naturally respond to these changes by increasing physical activity. One has the choice of indulging in exercise at that time, for the many benefits it offers. Bright Line Eating allows all kinds of healthy and nutritious natural foods, although in limited quantities and fixed number of times per day. The portions are generous enough to satiate real hunger and meet the energy requirements of the body. One can choose from meat, fish, vegetables, and fruits. While flours of all kinds have to be avoided, whole grains in unprocessed form are allowed. Similarly, natural sweetness in fruits and vegetables can be enjoyed; it is the concentrated and refined versions that have to be eliminated. Since animal sources of protein can be replaced by beans and other legumes, the Bright Line Eating plan is adaptable to vegan and vegetarian diets too. There have been no reports of nutritional deficiencies or need for vitamin or mineral supplements. Do Dieters Lose Weight on the Bright Line Eating Diet? Dr. Susan developed Bright Line Eating based on the diet and lifestyle changes that helped her lose weight after a long struggle with obesity in her 20s. She structured it into a comprehensive plan with ample scientific explanations and presents it as a foolproof weight loss method for the benefit of others in the same struggle. Dieters who follow the eating plan and strictly stay within the ‘bright lines’ reportedly enjoy significant weight loss over the 8 weeks they spend in the Boot Camp. They apparently continue to shed pounds even afterwards and manage to keep them off long-term. Average weight loss reported is about 10 pounds per month, but it is dependent on many other factors, and may vary from person to person. Not everyone has the same success with the diet, though. As is the case with any other weight loss diet, along with success stories, there are bound to be failures also, particularly when people cheat on the program. Metabolic makeup of individuals may also play a part in determining their response to the program. You can actually find a quiz at their website to help determine if your brain circuitry tends to undermine your weight loss efforts. Bright Line Eating takes moderate to high level of effort. The restrictions are not many, but they really pinch, especially when it comes to sugar and refined flours. Since they have been such an integral part of our diet for so long, many dieters would find the ‘bright lines’ to be quite restrictive. Snacking between meals is so common at homes and in work places that it would take tremendous willpower to say ‘NO’ to them. One important fact that Dr. Susan highlights in her lecture series is that there’s no middle way, or scope for compromise, when it comes to the bright lines, especially the first two. Because of their highly addictive nature, one has no option but to avoid them completely if one wants to break the cycle. They should be treated just like alcohol or nicotine addiction where a clean break is the only way to go. Since the program focuses on overcoming food addictions, cravings, and eating disorders, people may find it getting easier as they go forward. That is one reason why those who tasted success with this diet choose to stick with it long term. Is Weight Loss Really That Simple? The Bottom Line: Is Simply Weight Loss Worth a Try? No, based on Insufficient data provided. While there is anecdotal evidence that Simply Weight Loss has worked for a few people, there isn’t enough scientific proof to actually be sure. With there being so little data and the extreme prices, it’s not even worth purchasing to test for possible results. Those who want to lose weight would likely be better off trying a diet that is backed by science. Such a diet would be more likely to provide the results dieters really want. Losing weight is hard work, so many people look for a solution to help them get on track. Simply Weight Loss promises to be one such solution. In order to follow the Simply Weight Loss diet, you need to purchase a kit. Each kit lasts for six weeks and contains the Simply Weight Loss pills you’ll take to lose weight. Let’s take a closer look at how this diet works. Simply Weight Loss claims that people can double their weight loss within six weeks by using the products contained in the kits. Along with losing 15–22 pounds in six weeks, the company states the Simply Weight Loss products target that hard-to-lose belly fat while toning and tightening the skin. Simply Weight Loss also claims to support the cardiovascular system, smooth out wrinkles, and control the body’s inflammatory response. In addition, the manufacturer states the products help with sleep and mood while increasing energy levels and relieving stress. These claims mean Simply Weight Loss isn’t meant to be merely a diet solution. It’s supposed to boost people’s overall health and well-being. Simply Weight Loss consists of a three-step plan. Dieters need to drink water, take the herbs provided in the kit, and eat enough food. In fact, while other diets cut calories, Simply Weight Loss encourages people to eat enough so they can maintain their energy levels while losing weight. Lastly, the Day and Nighttime Kit, which according to Simply Weight Loss, these products are the most important aspects of the diet to losing the weight. There has yet to be any clinical research backing up the claims made by Simply Weight Loss. However, some of the ingredients used in the Simply Weight Loss pills have proven benefits. Chromium is one such ingredient with proven results. Studies show chromium regulates insulin. Insulin is responsible for maintaining normal blood sugar levels in the body and metabolizing carbohydrates, this makes it easier to lose weight. Iodine is also present in the Simply Weight Loss products. Research has shown that it stimulates the metabolism. Iodine stimulates thyroid hormones and boosts the immune system function because of its antibacterial effects on the human body. With a properly working thyroid, many people experience weight loss naturally. Simply Weight Loss pills also include Magnolia Bark which helps lower anxiety and stress. One study found that Relora reduces cortisol levels, and the participants reported less depression, anger, fatigue, tension, and overall stress. Relora contains a combination of tree bark extracts, including magnolia bark, so this study backs up Simply Weight Loss claims. Guarana is also in Simply Weight Loss pills, but the evidence for this supplement it isn’t as clear-cut. Simply Weight Loss claims that it helps stimulate the blood flow, and that reduces headaches in those who take it. Guarana contains caffeine, and research has shown that caffeine can prevent headaches. However, when combined with caffeine in energy drinks, it can damage a person’s cardiovascular health, according to a study. In fact, some young adults have been admitted to emergency rooms after ingesting guarana-based energy drinks. While caffeine is not listed as an ingredient in Simply Weight Loss, dieters need to be aware of potential side effects. The evidence for hawthorn berry is also found in Simply Weight Loss pills. SWL claims that it normalizes blood pressure, and that is partially true. A study of diabetics with hypertension found that hawthorn reduces diastolic blood pressure but does not have an impact on systolic blood pressure. That means it doesn’t reduce the pressure your heart exerts when pumping blood through your body. Citrus Aurantium is included in Simply Weight Loss pills to boost energy and suppress the appetite. It’s also supposed to increase metabolic rates and help people burn more calories. This supplement became popular after Ephedra was banned in the US by the FDA for causing severe life-threatening or disabling conditions in some people. While these herbs have at least some evidence to back up Simply Weight Loss claims, others do not. Bladderwrack is supposed to regulate the amount of iodine in the thyroid. This is important since the thyroid keeps your metabolism running, and that’s needed to burn fat. However, scientific studies have yet to prove this. Fo-ti is supposed to prevent premature aging while increasing energy and fertility. While some preliminary research in China has found that it might improve immune function, high cholesterol, and constipation, there is no evidence to suggest that it actually rejuvenates the body. Simply Weight Loss claims that licorice root has a soothing effect on your stomach when combined with herbal formulas, but research does not back up that claim. The National Center for Complementary and Integrative Health states that while studies on licorice root have been completed, researchers do not have enough evidence to support its use for health conditions. It can even be dangerous. If licorice root is taken in large doses over a long period of time, it can lower potassium levels and cause high blood pressure. That can eventually lead to muscle and heart issues. 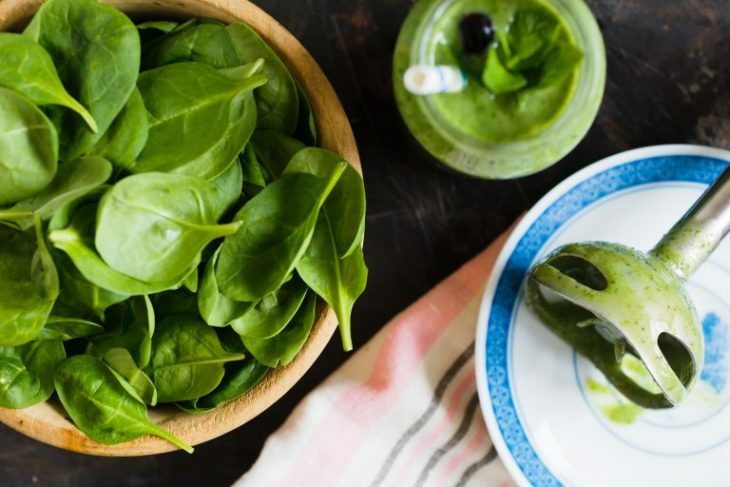 While many of the ingredients are used based on scientific studies, no study has been done to show how these ingredients interact with one another or if, when taken together, they provide a healthy alternative for weight loss. A large majority of reviews that were found on SWL are positive. Many people claim that it makes it easier for them to sleep, and they feel more energized when they wake up in the mornings. That’s not all. According to testimonial and social media reviews, this product helps people achieve their weight loss goals. It jump-starts weight loss and makes it easier to keep the weight off for the long term. 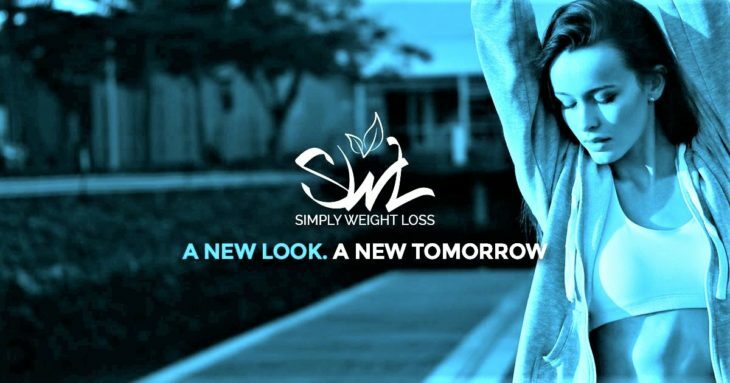 While the Simply Weight Loss reviews are positive, they are also limited. There are only a few Simply Weight Loss reviews available online. Hua, Yinan et al. “Molecular mechanisms of chromium in alleviating insulin resistance” Journal of nutritional biochemistry vol. 23,4 (2012): 313-9. Ahad, Farhana and Shaiq A Ganie. “Iodine, Iodine metabolism and Iodine deficiency disorders revisited” Indian journal of endocrinology and metabolismvol. 14,1 (2010): 13-7. “SWL Today -.” SWL Today –, swltoday.com/. “Citrus Aurantium.” NeuroImage, Academic Press, www.sciencedirect.com/topics/agricultural-and-biological-sciences/citrus-aurantium. Anavar is a steroid that is not legal to purchase for consumption to the general public. The only way you can obtain Anavar otherwise known as Oxandrolone is through a prescription. 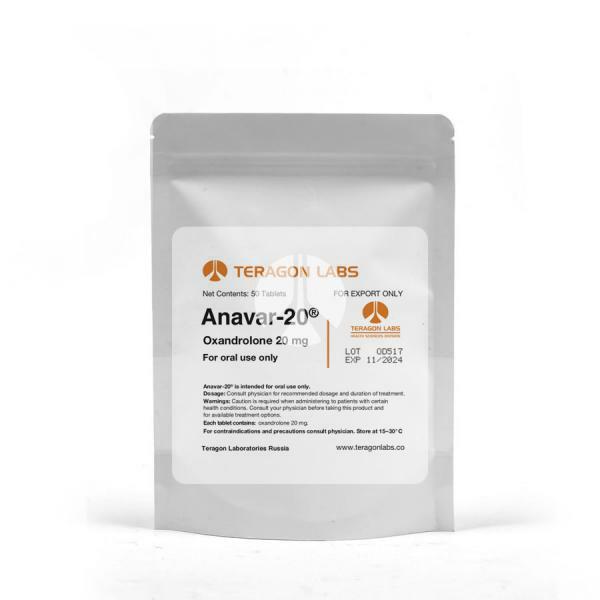 Teragon Labs is one of the manufacturers for Anavar. The bottle comes with 50 oral tablets. Body builders are famous for getting their hands on Anavar because it is a chemical compound, otherwise known as an anabolic steroid. Anavar is meant to help bulk your muscle and lean your body out at the same time. The product came out in 1962 and it was named Anavar over code name Anabolic Androgenic Steroid, and it was originally produced by company G.D Searle and Co. This is an oral pill and nothing more than that generally taken in cycles of 6 weeks. The user will take it daily anywhere from 2-4 times per day and do their workouts, all while waiting to see results. It is not recommended to take more than 100mg each day. Oxandrolone was originally created to help people gain weight. It was also meant for bone pain relief from osteoporosis. For example, people lying in a hospital bed may lose muscle mass so this steroid helped them regain their muscle mass. This drug is three times more powerful than testosterone, so do keep in mind this if you are interested in taking it due to potential side effects (more on that later). It can be used for both men and women simply because it is aromatizing and has a low chance of virilization (which means females start to take on male characteristics). It a nutshell the product will help carry more oxygen to your muscles by decreasing your overall red blood cell levels. Simply put, it allows the user to work out for longer periods of time without fatigue. This product goes in cycles of 6 weeks, meant to be taken no more than 100 mg per day. Testosterone Suppression- risks throwing natural testosterone levels off. Increases LDL cholesterol while suppressing the HDL cholesterol- aka potential cardiovascular issues. Possible interference with the bodies estrogen levels (female). No this is not a safe steroid to take, even though it is touted as the safest steroid (if you have to take one). If you are a patient on bed rest in the hospital with no means to move, this will be a game changer for you when administered by the doctors not to lose your muscle definition. The dosages are typically pretty low (30 mg). This is the only pro I see. It is a mild steroid, and yes there are more harsh ones on the market but it is still illegal in the United States (con). The side effects are also a large con in my book, as there are too many wild card factors to take into consideration when taking Anavar. Even though it is not a potent androgenic steroid, that does not mean it is okay to take to become more built. Lastly, it is an expensive steroid to get your hands on! For 60 pills of 10 mg each it can cost around $150. For a four week cycle it will cost over $450, so it is also not affordable by any means! The only pro in using this steroid is at a medical level for patients who need to maintain muscle. At the end of the day, just walk away. It is not for sale legally to the general public without a prescription, but can be found in an illegal way which I do not recommend trying out. With side effects, and a high cost it just does not seem like a smart purchase. There are better, safer, and more affordable ways to get lean and cut like a body builder and it will entail hard work and discipline. Stay away from Anavar if you love your body, and want to nourish it well! Anavar (Oxandrolone) – A Medical Review – Evolutionary.org. www.evolutionary.org/anavar-oxandrolone-a-medical-review-online/. “Oxandrolone Oral : Uses, Side Effects, Interactions, Pictures, Warnings & Dosing.” WebMD, WebMD, www.webmd.com/drugs/2/drug-8822/oxandrolone-oral/details. “The Truth About Anavar – Everything You Need To Know From A Real User.” Iron Junkies, ironjunkies.com/anavar-review. “Anavar (Oxandrolone) – Steroids Profile.” Steroid Abuse, www.steroidabuse.org/steroid-profiles/anavar/#toc1. Should DNA Be Your Guide For Weight Loss? We all care about protecting ourselves from an identity fraud but how secure would our DNA be sent to a lab that we have very little knowledge about. Can we trust their word about the security? What about the products itself? 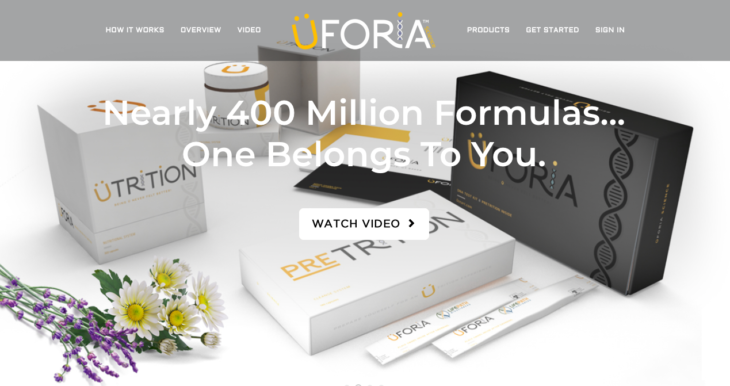 There are three steps when looking to get Uforia products sent to your door. In the DNA test kit it will come with 180 veggie caps (pretrition), and two sterile cytology brushes which are also know as DNA swabs. Your saliva essentially holds all of the necessary nutritional information it takes to get a proper test. When the test swabs are sent to the lab, your personal report is completed, and in return you will receive products such as superfoods, prebiotics, vitamins, and enzymes to kickstart your health journey with Uforia Science. The Pretrition capsules are essentially a 30 day “cleanse” you will start and it comes in the form of the veggie capsules. I assume this is what they have the customer taking while they are waiting for the results to come back from the lab. The starting cost is $159.00 for the test kit and cleanse, and then another $99 for actual results. All of the nutritional supplements are non gmo, vegan, and gluten free. The customer will purchase the DNA test kit for $159.00 and get started on the pretrition cleanse while they are waiting for their lab results to come back. They will spend another $99 for lab testing, and then another unknown cost to actually purchase the personalized supplements. What Is In Uforia Science? As you can see, there is nothing inherently dangerous about the products, or the process you will go through to get the supplements. The process can be time consuming and take some work on your end, but nothing is dangerous with Uforia Science. The pretrition capsules that are meant to cleanse for 30 days are made up of raw food/ herbs, so it is safe as well. The ingredient list for the capsules are found on the main website. All of the supplements they send you are clean, and safe to take. As a precaution if you are concerned, run it by your doctor if you are on certain medication you think may interfere with some of the ingredients on the website. It is cool that the products you are being sent are because of direct DNA samples from your body. Their labs are CLIA certified, and HIPPA compliant, so this is another pro. You can be confident that the supplements being sent to you are for a reason, and not just a “guess” as to what supplements you may be needing. A con is how expensive it is to purchase for a 30-day supply, and how time consuming it can be. It can take anywhere from 2-4 weeks for your tests to come back, so do not lose momentum in that time period. Because every body is so different, the company estimates there are around 400 million different combinations for the Utrition that could come about. This is another pro, as it sets in stone the true personalization the company gives to each customer. The last con I noticed is the fact that it is a MLM company, as I am not a fan of these marketing styles personally. This company offers a very personalized nutritional profile for each customer, and it is very expensive when it is all said and done! This company is new to the scene, and they are offering a service that is not generally seen in the supplement world. It’s not every day you get an in depth look into what supplements your body really needs in order to achieve optimal health and wellness. Their labs are certified which is a relief, and the turnaround time is about a month so there is a wait involved. If you can get past the work on the front end such as the 30-day cleanse, completing your DNA kit, shipping it in, and waiting for the results it may be the right investment for you. Keep in mind, it is $159 for just the kit, and another $99 for the analysis which is a lot not including the supplement cost. Try it out for size, there is nothing dangerous (minus the cost) about the company. “Uforia Science Launch with Ron Williams.” Chris Tinney, 18 Nov. 2018, christinney.com/uforia-science-mlm/. “UFORIA Science – UFORIA Science.” UFORIA Science, uforiascience.com/. Previous article Ketogenic Diet: Miracle Or A Dangerous Marketing Trick? Losing excessive weight is highly challenging for some individuals. You may have tried out dozens of different diet plans but have achieved absolutely nothing. That’s when you start to think about spending money on a magical diet plan that, as stated by its creators, will help you lose weight. PS 1000 is one of them. There is a multitude of loud diet plans promising you that you will lose weight without any effort. While some diet plans are easily identifiable scams, others are much more complex and cannot be revealed that quickly. If you have been thinking about buying PS1000 weight loss supplement and diet plan, stop for a moment and let us help you understand whether or not you should spend your money on it. Essentially, PS1000 is a diet plan, although you get more than just a couple of plans for the money. PS1000 is a step-by-step guide that is aimed to help you with losing weight as quickly as possible. Phase 1. At this initial phase, you are supposed to start eating healthily, as advised by the diet plan. According to the creators of PS1000, the most weight loss occurs in this phase. Phase 1 can last up to 90 days. Phase 2. This phase is aimed at helping you create a new weight point that is easily maintained by your body. Phase 2 can last up to 21 days. Phase 3. In this phase, you start to slowly add sugars and starches back while maintaining healthy lifestyle and continuing to consume as many calories as you need. PS1000 claims that by following the diet plan, you will be able to help your body maintain the necessary level of your body’s hormones. After all, endocrine disorders are often the main reason for obesity! PS1000 comes with a number of products and services including menus, support, program guides, and money-back guarantees. However, for most interest for us is the Metabolic Burst, which seems to be the main component in the price of PS1000. We also should mention the Energy Burst that comes with the platinum package, however, the creators of PS1000 do not provide any data on its composition on their website. Amino acids arginine, glutamine, glycine, ornithine, serine, tyrosine, and glutamic acid. These can be found in regular food, especially in meat, not to mention that some of them are produced by the body naturally. Maca. Maca has been widely marketed for its health benefits, including enhanced sexual performance. As for PS1000, its creators claim that maca helps with reducing stress, increasing energy and stamina, and improving sleep quality. Beta-alanine, which is naturally synthesized by the body. Rhodiola, another plant that has a number of alleged health benefits. As stated, Rhodiola improves performance, reduces fatigue, and improves mood. African mango seed, which allegedly is beneficial for the production of hormone Leptin, a hormone that helps the body regulate energy balance. Maltodextrin fiber, which absorbs water in the digestive tract, thereby decreasing the absorption of carbohydrates and cholesterol, which in its turn supports the use of glucomannan in weight loss. Potassium, niacin, one of the organic compounds of Vitamin B3 complex, Vitamin E, Methyl B12, Vitamin B6, and zinc, which all can be found in food. Did you notice that the majority of the ingredients of the Metabolic Burst can be found in regular food? Makes me think this might be one of the key elements in the success of this diet. PS1000 actually promotes healthy lifestyle in regard to both diet and physical activity. On their website, you can find a wide variety of workout plans and recipes. 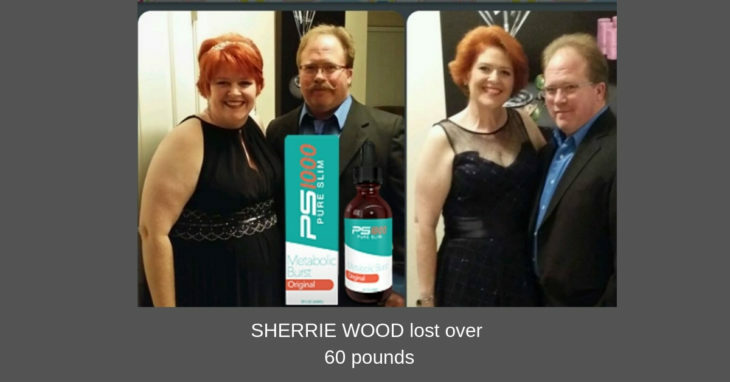 While we can’t precisely say what works and what doesn’t, the more or less serious approach of PS1000 to helping you maintain a healthy lifestyle is evident. This is a thing that a lot of creators of dietary plans do not do, so this is certainly a big advantage of PS1000. People are different, and so is the condition of their organisms. Some people simply have dietary imbalances while others suffer from serious hormonal disorders. Can a dietary plan help the latter? Most probably, no. Endocrinologists from all over the world put great effort into resolving issues with hormone production, so a mere dietary supplement definitely won’t be a magic pill. On the other hand, the creators of PS1000 do not state that it is. The health disclaimer on their website clearly states that PS1000 isn’t designed to replace medical care. On the contrary, they recommend you to always work with qualified doctors. Besides, they write that PS1000 hasn’t been evaluated by FDA. We sincerely salute their honesty and willingness to help. PS1000 might be able to help those with no serious medical conditions, those who only need to balance their diet to lose weight. As for cases beyond generic, PS1000 will probably be of no use. Does PS1000 Have Scientific Backing? On the front page of the website there is a doctor named Dr. Karen F. Vieria who states that the ingredients in the diet drops, and the program as a whole are proven to help someone lose weight. Also, because this company promotes eating wholesome nutritious foods along with their supplements there is a multitude of information behind why healthy eating habits are said to aid in weight loss. Obviously, reducing the amount of calories a person eats has been scientifically proven to help in the weight loss journey, it is just the process that can hang people up. The one thing I am growing fond of when looking into the PS1000 program is the education and phases behind their weight loss philosophy. Does PS1000 Have Side Effects? As with any diet programs that promote lifestyle changes you will see side effects from dietary restrictions. Some people that have gone through this program have noticed the onset of headaches and fatigue, as sugar and starches are off limits in phase 1. The withdrawal symptoms can be some of the hardest symptoms to fight when going through this program. Should you spend your money on PS1000? When looking into outside sources of consumer reviews of PS1000, (because the websites of the actual products always seem one sided) they got good reviews as a whole. I had to double-check this information, because you do not normally find this often with diet companies. On Amazon alone there was an 85% 5 star rating, and 0% 1 star reviews which I have never personally seen before. Merchants like Amazon offer their consumers to leave reviews no matter if they are good or bad. The overall consensus is that the program really promoted weight loss the healthy way, and that they saw long term positive results from PS1000. While we haven’t looked really deep into PS1000 and merely examined its phases and the Metabolic Burst, we think it is quite enough to give you a final recommendation. So should you buy PS1000? We adore the approach of the creators of PS1000. They made sure that their website isn’t merely a showcase of their product but a knowledge base as well. While you may decide not to buy PS1000 weight loss supplement, the data provided by them could certainly be useful. Nonetheless, we advise you to consult with a medical professional first before you decide to follow any diet plan, be it PS1000 or not. After all, your condition may be more serious than you think. To contact the company directly please visit www.ps1000.com or call 1 866 599 4240. Previous article Is Medifast Right for You? Medifast is a weight-loss diet plan that consists of replacing the majority of your meals with meals that are provided by Medifast and delivered directly to you. There are a lot of significant benefits that come along with Medifast, but there are certainly some drawbacks as well. If you are looking to lose weight, you may be asking yourself, “Is Medifast right for me?”. When trying to decide if this is the best way for you to lose weight, you'll want to consider several things. Medifast reviews and testimonies, the basic structure of the program, the food the program includes, and any special diet needs or restrictions you may have are all a great place to start. When deciding if Medifast is the right way for you to lose weight, you'll first want to learn how the program actually works. Generally, you would order a 30-day kit at a time when choosing a Medifast plan, although they do offer 14-day options as well. That means you will usually be purchasing your whole month worth of food right off the bat. This provides a lot of benefits because it takes a lot of guess-work out of dieting for you. Everything is laid out for you very clearly. Having all of your meals this way makes eating very easy and convenient, which is one of the things you will find over and over in Medifast reviews. When you are doing the Medifast program, you will have most of the meals provided for you, but not all of them. There are two main options as far as the Medifast plans go. You can choose either Medifast Go! Or Medifast Flex. If you choose Medifast Go! you will receive enough food for five different Medifast meals and snacks each day. On top of that, you should be preparing yourself one “lean and green” meal each day. This meal will allow you some flexibility and control over what you eat, but you can get the recipes for these from Medifast for best results. Medifast reviews confirm that the Medifast Go! option is, indeed, the fastest and most convenient way to lose weight with Medifast. If you want to have more flexibility in your daily meals, Medifast Flex may be the better option of the Medifast plans for you. With Medifast Flex, you will receive enough Medifast meals to have 4 Medifast meals and snacks a day, and then you will be responsible for making two of your own “lean and green” meals as well as one healthy snack each day. Many writers of Medifast reviews agree that this plan works better for them because they like the additional flexibility the plan offers. One thing that is pretty cool about all of the Medifast plans is that they feature a wide variety of different meal and snack options. Medifast meals include all sorts of things from wild rice and chicken flavored soup and ziti marinara to mixed berry cereal crunch and garlic mashed potatoes. There is a wide variety. Many Medifast reviews reveal that some of the customer favorites are the snacks that come with their Medifast kits. You get to snack on things like honey mustard pretzel sticks, Dutch chocolate shakes, and even brownie soft bakes! Of course, there are very mixed Medifast reviews, and while some of the Medifast reviews out there just rave about how easy and tasty the Medifast meals are, there are definitely some Medifast reviews that talk about how unappetizing and even just disgusting they consider the meals to be. Unfortunately, this is one thing that you won't know for yourself until you have actually tried it since everyone has different taste. However, Medifast does offer a pretty cool 30-day money-back guarantee. They promise that if, at any point in your first 30 days using Medifast, you are unsatisfied, you will get your money back. Anytime that you are considering any new diet or weight-loss regimen, you need to carefully consider what your personal needs are and if you have any special dietary restrictions. Not all diets are appropriate for all people, especially those that do have dietary restrictions. Those people that suffer with diabetes, for example, require a special diet. In the case of diabetes, Medifast might actually be a really great option. That's because Medifast plans include high levels of protein, plenty of veggies, and low carbs and sugar – the ideal diet for someone suffering from diabetes. Medifast even offers a unique guide to help sufferers of diabetes to make Medifast work even better for them. Medifast also offers several other guides that help people with different special dietary needs or restrictions to adapt Medifast to their own needs. The guides that they provide for these special dietary needs include a gluten-free guide, a vegetarian guide, a guide for nursing mothers, and a guide for those over the age of 65. These guides are actually a really cool thing, and Medifast reviews also reveal that customers appreciate that Medifast considers their entire customer base. Of course, even with this particular consideration, Medifast still won't be a good choice for all dietary restrictions or needs. You will have to take a good look at the Medifast plans available and consider if they will be appropriate for your own dietary needs. When it comes to starting a new diet and weight-loss plan, one key to success is your mindset. One of the best ways to make sure that you have and keep a proper, positive mindset about your weight-loss is to have realistic goals and expectations. Medifast does not promise crazy, instant results when it comes to losing weight. In fact, they say that you can expect to lose only a small amount of weight per week. Of course, that does match up with the goals of many and losing weight slowing and gradually is typically the healthiest way to do so. With that said, the Medifast program cuts calories down to a caloric intake of only 800-1000 calories each day. That is a massive cut in caloric intake for most people, and it would be hard not to lose weight with that number of calories each day. The low caloric intake is another thing that you will need to consider when deciding if Medifast is right for you or not. Some Medifast reviews mention extreme or constant hunger while doing the plan and that isn't necessarily good for you either. If you are extremely active, you may just need more calories to remain healthy. One more thing to think about when it comes to your weight-loss expectations with Medifast is what your long-term goals are. You can certainly lose weight when you are using the Medifast program – there are plenty of Medifast reviews and testimonials that show this. However, some Medifast reviews talk about how Medifast isn't completely friendly when it comes to long-term weight-loss and maintaining a healthy weight once you have lost the weight you want to lose and have finished your Medifast plan(s). Of course, a considerable part of that is merely the choices that you make for your diet once you have finished with Medifast. You'll also need to consider the other aspects of your health such as maintaining a healthy activity level that matches well with your diet. If you have decided that Medifast will fit well with your dietary needs and you like the sound of the foods that will be available on the Medifast plan. If you also have realistic expectations about your weight-loss potential with Medifast, then there are just a few more things that you will want to think about before deciding if Medifast is really the right choice for you. The first thing to think about is your food budget. A Medifast plan costs about $300-$400 for 30 days of food. That is a pretty steep price considering it is only most of the food and it's just enough for one person. 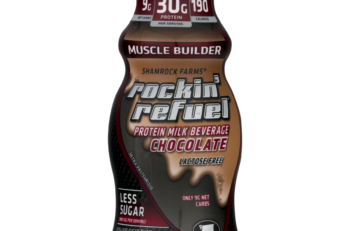 There are Medifast reviews on both sides of this with some customers saying that it is absolutely worth it, while other customers seem to think that it is a complete waste of money. That is something that you have to think about in regard to your own personal situation. Will your budget allow for it? Are you comfortable spending that amount on a diet-plan? When looking at Medifast reviews, do you feel like you will think that the cost is worth the results you hope to get from the plan? Finally, you will need to think about if the Medifast plan will be practical for you and your lifestyle. Do you go out much? Is eating with friends an essential and regular part of your life? A Medifast plan can complicate these things. However, Medifast does offer a guide on eating out while on one of the Medifast plans, so that could potentially help to solve that problem. It is essential to put a good amount of thought and consideration into it before you start a new weight-loss plan. Medifast reviews make it clear that this is a very personal thing and you need to really think about your situation when deciding if Medifast is right for you or not. The DASH Diet was originally created to help a person lower their blood pressure and that was it, but it soon morphed ito an actual diet program. According to the DASH Diet anyone can accomplish lower blood pressure and even lower weight by simply eating all the foods that are good for them, and it can happen in under 14 days. * This includes foods rich in potassium, calcium, protein and fiber. The DASH diet also says to lay off the sweets and cut salt usage way down. They say because the eating program is heavy in fruits, vegetables, and protein it will most definitely help with weight loss when followed. There are regular, vegetarian, vegan, and kosher options available when looking into this diet program. The DASH Diet was developed with the help of the National Heart, Lung, and Blood Institute. 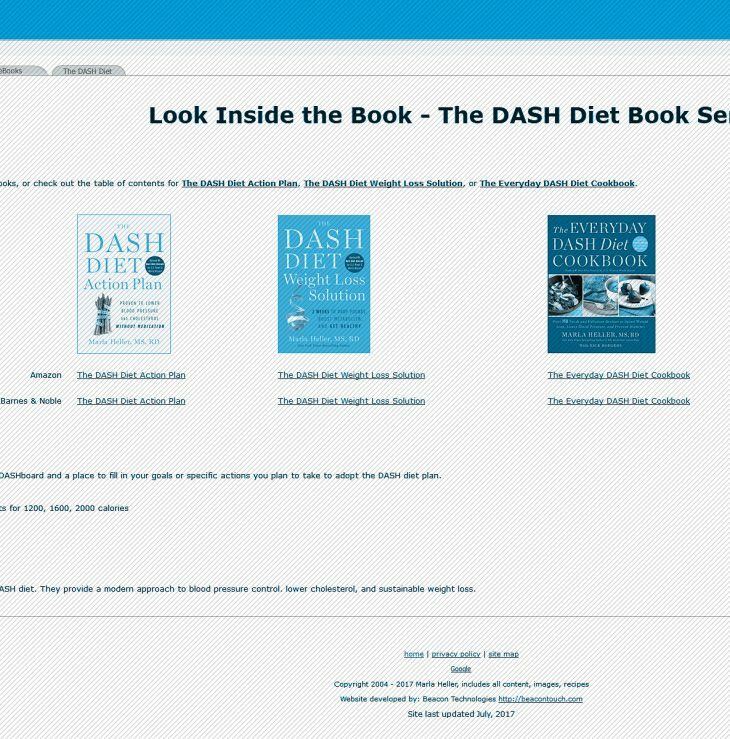 There are two free guides that can be read on how to institute the DASH Diet, one that is short and one that is long. Basically, both tell you the same thing which is to eat all the things you were taught were good for you when you were growing up. This includes fruits, vegetables and lean meats. Conversely, you should also stay away from foods that you might like, but ones that will be bad for you. This will include sugary and fatty foods as well as excessive amounts of red meat. Salt is also considered a no-no. Do Dieters Lose Weight On The DASH Diet? The DASH Diet has proven effective for weight loss when followed properly. However, this is not always as easy as it sounds. Dieters who design a meal plan with a calorie deficit will obviously have more success with weight loss, but the diet is geared more at attacking high blood pressure and weight loss is really a secondary goal of the diet. Therefore, any weight loss that is enjoyed will likely not be as dramatic as many dieters might hope for. Does The DASH Diet Conform To Accepted Dietary Guidelines? Using the 2017 Dietary Guidelines for Americans as a benchmark, the DASH Diet easily conforms in the areas of proteins, fats and carbohydrates. Even salt can be kept at acceptable levels when the DASH Diet is followed properly. Other “nutrients of concern” such as fiber, potassium, calcium, Vitamin B-12 and Vitamin D are also usually right on. Because the diet was designed for health more than for weight loss it is much more conforming in these areas as opposed to other “fad” diets on the market today. Is the DASH Diet Easy to Follow? The DASH Diet is a very well balanced and very healthy diet to be on. However, that doesn’t mean it is an easy diet to stick to. While the rules aren’t complicated, following them can be tricky at times. This is because of the fact that the diet cuts out a lot of sweets and other food favorites which can tend to prompt some cheating. Too much cheating can prove detrimental to the success of the DASH Diet. * Side effects can also cause difficulty when getting started on this program because you will be taking away rather addictive foods that cause withdrawal symptoms (sugar, I'm referring to you!). How Much Does The DASH Diet Cost? The DASH Diet can be costly due to what you will eat while on the diet. Because you will have to stick to a specific list of foods that are acceptable and those foods are all on the more natural and fresh side, you can expect to pay for it. Fresh and wholesome foods will always cost you more than processed and frozen foods and if you like brand names you will pay more in that area as well. 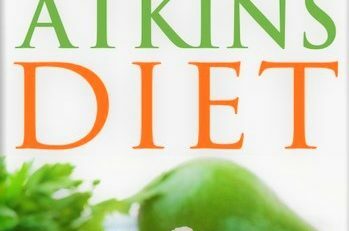 On top of the actual food costs there are books to read on how to actually follow the diet, and you can find them on Amazon for around $15.00. Does the DASH Diet Allow for Restrictions and Preferences? Yes. This includes the needs of those who want to go gluten-free, low to no salt, Kosher, Halal, vegan or vegetarian. The DASH Diet is easily formed into almost anything you need it to be and can easily meet your personal dietary needs. For that reason, this program can be easily molded into your eating habits already. What is the Role of Exercise with the DASH Diet? The DASH Diet highly encourages participants to exercise. However, this is again for health purposes and not so much as an added way to lose weight. The DASH Diet recommends those who are not used to physical activity to start out with light activity and then build from there. This can include walking, gardening, or even light aerobic workouts. The bottom line is that they want everyone to stay active and stay moving. The DASH Diet is a big proponent on setting goals and then sticking to those goals and the area of exercise is no different. In the midst of focusing on bettering your insides and getting healthier from the inside out, do not forget to keep up with your natural beauty routine as well.. In the midst of focusing on bettering your insides and getting healthier from the inside out, do not forget to keep up with your natural beauty routine as well. Some of us like to throw on our moisturizer and call it a day, where some of us find joy in putting on make-up and throwing a few curls in our hair. Every lady is different, but for those of you that like primping a little more, we have some insight on the latest trend to have you feeling fresh and beautiful as you leave the house. I am sure you have all heard of contouring, as it has gained a lot of popularity over the past couple of years. This shading with bronzers allows us to accent certain areas and create a chiseled look with shadows using darker pigmented powders. The new trend is just the opposite of that: strobing. Strobing is a lovely new term that we use to describe the dewy look you can achieve with highlighting. Harper’s BAZAAR refers to strobing as the “yin to the yang of contouring.” Contouring is more of a sculpting technique whereas strobing provides a glamorous dewy look. Ultimately, it comes down to preference, but strobing is all of the buzz when it comes to runway and magazine spreads. Although Kim Kardashian swears by contouring as evident in her photos, many celebrities such as Gigi Hadid go for the highlighted look. Strobing uses light tones and shimmer to draw attention to cheekbones leaving you with a radiant glowing look. Many beauty consultants tend to side with strobing as its light reflective elements are fantastic for any age and skin tone. Taking the trendy art of strobing one step-further, it can be applied to your hair as well. You may not be able to inform your hair stylist that you want to contour your hair color for a more flattering look, but you most definitely can “strobe” it. You may be confused because many of us could just say we want highlights in our hair. The difference is that strobing actually tailors your color to your personal head shape. The idea of strobing, is to add more highlights and shimmer to the areas where the sun hits to radiate a beautiful color and look. Strobing is not a term as simply applied as balayage or ombre for that matter. By strobing your hair color, you are putting lighter tones and darker tones in places where it will create a hair color unique to you. Whether you have a trip to the nearest Sephora or an upcoming appointment with your hair stylist in store, consider this trend for the near future and you may be surprised at how you feel. We all get tired of the usual looks because they start to feel mundane, yet the transition to a new look can be frightening as well. Let the spring season and new healthy lifestyles you are undergoing take you one step further into creating your most beautiful and happy self! “The Strobing Trend Has Now Jumped from Makeup to Hair.” InStyle.com. Web. “Strobing vs. Contouring.” Harper's BAZAAR. 2015. Web. “Strobing Is the New Contouring. Here's How to Do It Without Looking Like a Hot Mess.” Cosmopolitan. 2015. Web.